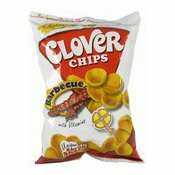 Clover Chips, your original favourite snack is now improved. 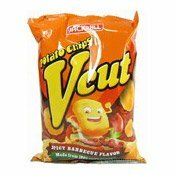 Munch on these extremely crunchy chips packed with irresistible BBQ goodness. 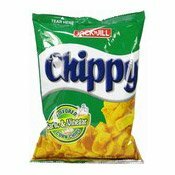 Basta Clover Chips, simut sarap talaga! 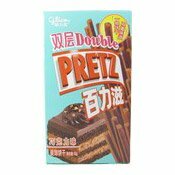 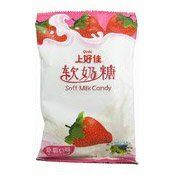 Allergy Advice: Contains Maize, Soybean, Milk. 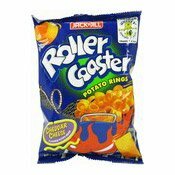 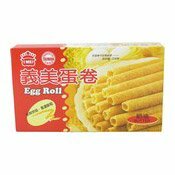 Ingredients: Tapioca Starch (35%), Yellow Corn (Maize) (26%), Vegetable Oils (Palm Oil, Coconut Oil, Soybean Oil), Barbecue Seasoning (Salt, Flavour Enhancer (Monosodium Glutamate), Natural Flavouring, White Pepper Powder, Black Pepper, Anti-caking Agent (Silicon Dioxide)) (17.8%), Sodium Caseinate (Milk), Emulsifier (Lecithin), Hydrolysed Soya Protein, Vitamins (Vitamin A, Thiamin (B1), Riboflavin (B2), Pantothanic Acid (B5), Vitamin B6, Vitamin B12, Folic Acid, Niacin (B3)), Colours (Tartrazine, Sunset Yellow FCF).